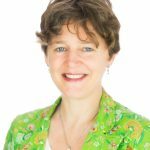 Michele Hallahan, MSc, ALCM, LEED AP, began her career at Trinity College Dublin and has worked in the environmental and sustainability sector, both in the United States and in Europe. The president of Eco-Logic, an environmental and sustainability consultancy based in Dublin Ireland, she incorporates green building and systems thinking into her work with clients, such as Trinity College Dublin. She obtained her qualification in LEED (Leadership in Energy and Environmental Design) in 2009 and has participated in the sustainable design of LEED certified buildings, such as the Dell Children’s Hospital in Austin Texas, the first LEED Platinum certified hospital in the world. Synopsis: Since the development of the LEED standard (Leadership in Energy and Environmental Design) began in 1993, over 92,000 construction projects worldwide have used LEED to increase building energy efficiency, reduce water use and create healthier buildings. LEED works for all building types anywhere and is in over 165 countries and territories. LEED buildings attract tenants, cost less to operate and boost employee productivity and retention. Michele Hallahan has been a LEED AP (Accredited Professional) since 2009 and contributed to the design of LEED buildings for the University of Texas. This presentation will provide a brief introduction to the benefits of the LEED standard.